Welcome to Day 1 of our 12 Days of Children’s Books Gala Giveaway. I’m part of an amazing group of writer friends who specialize in writing engaging nonfiction for kids. We’re the Nonfiction Ninjas! Each day for the next 11 days we’ll be offering you the chance to win a free children’s book. Great for your little ones, for the classroom, for homeschooling families, and for libraries everywhere, these books are AWESOME! And they’re written by these talented gals I’m fortunate to know as my writing buddies. Then, on the last day, Day 12, I’ll announce here on my blog the list of winners for each one of the books featured in this giveaway. So join in the fun. Every day for the next 12 days! Here on my blog!! Hip hip hooray for today’s featured book in our 12 Days of Children’s Books Gala Giveaway! One of you will be our winner for today and will be receiving a free copy of this wonderful book in your mailbox. Michelle, thanks so much for visiting my blog today and offering readers the exciting chance to win a copy of your children’s book. It’s a brand new book, just released last month! Michelle, can you tell us what your is book about? Dinosaur Devotions is a book of 75 devotions featuring different dinosaurs. It’s written for children ages 8 to 12, but I’m already hearing from parents who are enjoying it as much as their kiddos. You know why? Because dinosaurs are fascinating! The model for each devotion is this: I find an interesting fact that distinguishes a particular dino from all the others, and I relate that characteristic to a biblical insight. In addition, each devotion includes Dino Stats, Bible Excavation, Digging Deeper, Did You Know?, and Jurassic Journaling activities. It’s my hope that Dinosaur Devotions is the perfect blend of fun dinosaur facts and a deeper understanding of faith. Well, I have always loved dinosaurs. When I was a little girl, I would check out every book about dinosaurs that I could find, so you might say, I had to write a dinosaur book at some point in my life. My two daughters always loved dinosaurs, too. We had every “Land Before Time” movie ever released—even the sing-alongs! But, being a non-fiction girl, I wanted to write a book based on lots of dinosaur research, and that’s exactly what I did. The idea to turn my research into devotions was definitely a Divine Intervention thing. I give God all the credit for that idea. I had so much fun with this project, and if it sells well, don’t be surprised to see a Volume II of Dinosaur Devotions. It’s my desire that children not only fall in love with dinosaurs but also with the Bible. I hope they take away the faith-filled lesson woven into each entry and apply it to their everyday life. But mostly, I hope this book encourages kids to be brave even when life gets scary, to always have a grateful heart, and to realize how special and precious they are to their Heavenly Father. With every book I write, I pray my words will cause children to fall in love with reading. But with this book, I hope my words cause children to fall in love with God’s Word. Thanks, Michelle! And best wishes on the launch of your brand new book for kids. 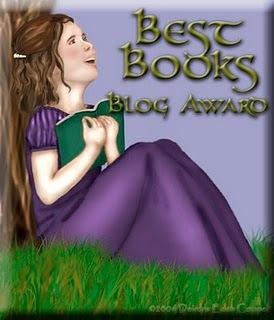 Be sure to stop back here on my blog tomorrow for Day 2 of our Gala Giveaway. You can enter your name for a chance to win our next featured children’s book. We’re giving away 11 amazing children’s books during our Gala Giveaway. And on Day 12, we’ll announce the winners, here on my blog. I hope you’ll be one of them! But hey…why wait until the giveaway is over to get your hands on this children’s book? It’s great for holiday or birthday giving and perfect for your kiddos to enjoy. You can buy it today on Amazon or at your favorite online bookstores! « First Pages that Pop! Just curious. I didn’t see Facebook or Twitter as options for places to share. Do you not want them to be shared there? Share everywhere you want! Not sure why those buttons don’t appear for you to click. Click on the SHARE drop down button. You should see Facebook and Twitter buttons there! My screen does not show a SHARE drop down button. Sorry I can’t help you share the fun 12 days. Hi Ev, don’t despair! Chances are, you are reading my blog post in your e-mail. The share button doesn’t show up on the screen there. But you should be able to click on the title of my blog at the top of your e-mail to actually visit my blog itself. The sharing buttons should show up there. But even if you can’t see the sharing buttons, you can still share! Just copy the URL of this blog post and then paste it on Facebook or Twitter or your favorite social media sites. Okay. I checked with two other browsers. Using Chrome, when I click on the SHARE button, it shows FB and Twitter as choices. When I use Firefox (which is what I regularly use) or Internet Explorer, FB and Twitter are not given as options. (When you talked about a drop down menu, I thought you must mean something else, because I’d already been clicking on the SHARE button itself.) Don’t know if other people are having the same problems with this that I’m having, or if it’s just some fluke with my computer. Wow, thanks for sharing this, Ev! Hopefully others will figure out how to make this work, too. Aah! Technology! So fun! Thank you, Nancy. Great opportunity. Glad to see all the books. Finally persuaded it to share on FB. THanks for sharing, Sharon, and spreading the news!